Metal Travel Domino Set with Case. 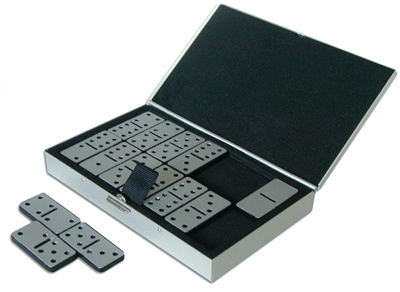 Metal Travel Domino Set with Case. Gift Boxed. L 5" x W 3". Imprint area: H 2" x W 2". 50 pcs/40 lbs. Carton Size: 7" x 18" x 12"